Over the last 25 years, I’ve started several companies, each with a different name, and a different telephone number. Several years ago I found myself with multiple landlines that I used for different company names. Each line had it’s own voicemail. In order to answer each phone line ‘live’, I used to have multiple cell phones, and when I’d leave the office, I would forward the each phone number to a different cell phone, which I could answer, and if I missed the call, each cell phone had ‘matching voicemail messages’ with company names that matched land line names/numbers. I did this so that I could answer the incoming phone calls, and minimize the confusion from the customer’s point of view. Unfortunately, it made my life more complicated, and those phone bills were very expensive. In order to simplify things, I decided to centralize using Asterisk (an open source PBX) and FreePBX, a web interface to configure settings in Asterisk. A PBX is a Private Branch eXchange, a hardware system that handles routing and switching of calls between a business location and the telephone network. By doing so, I could cut the telephone company charges and change to VOIP telephone service to 1/20 of the price, get rid of the redundant cell phones, and many other benefits. 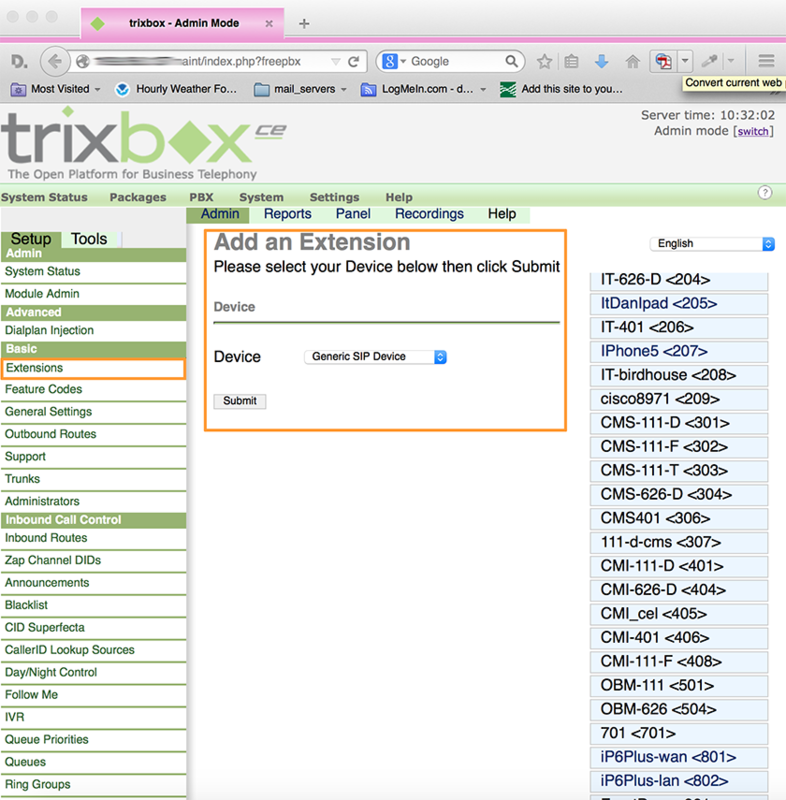 Thanks to the instructions on EngineeerTim.com, I installed Trixbox, and saved more than $6,000/year in landline and cell phone telephone bills. We can save that for another blog post! Add the extension number to desired call groups in Trixbox. 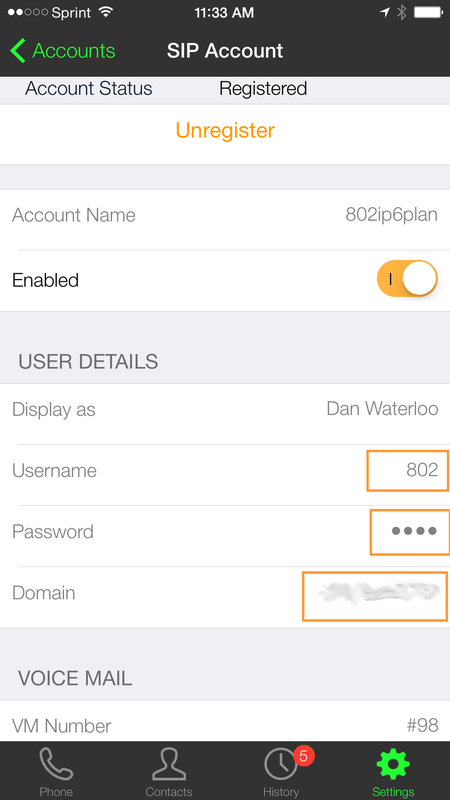 For remote answering, activate the VPN on the iPhone, and it will work just like it works while in the office. 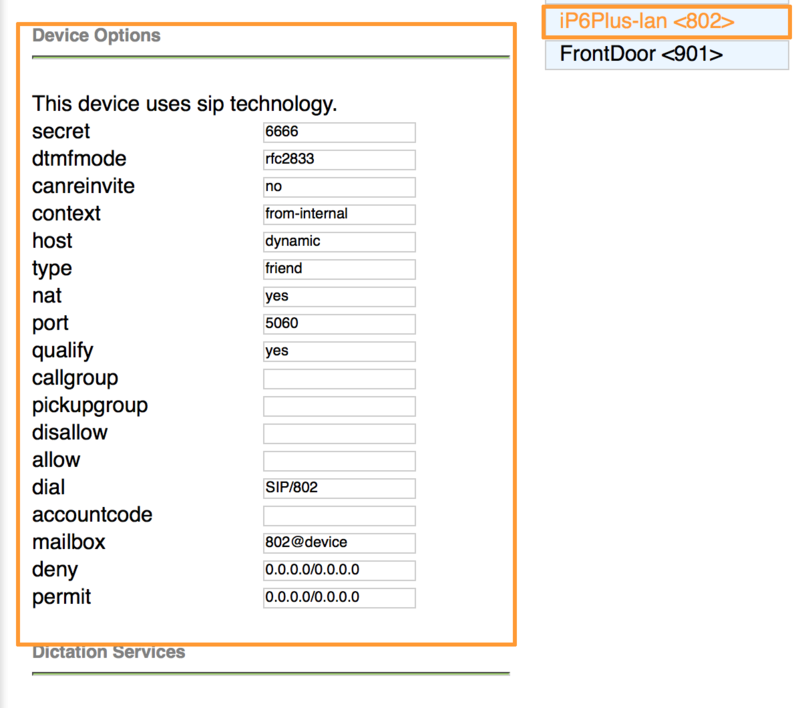 Note the extension number, and secret, you will need this for configuring your Bria iPhone SIP phone client. 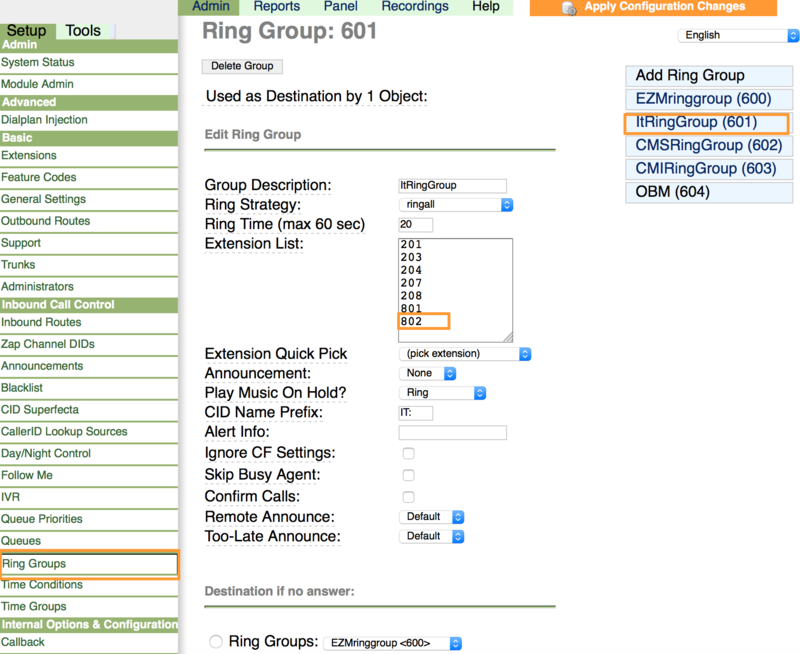 At this point, when someone calls in to the phone number that is routed to the ItRingGroup (601), all those extensions ring at the same time. When one of the extensions answers, then the other extensions go back into ‘standby’ mode for the next call. In this example, I can answer the phone on extension 802 (the iPhone running the Bria iPhone Edition app), and roam around the building while talking on the iPhone, which is acting like a cordless phone extension. The problem is, how can I be away from the office, and still answer the phone as if I was in the office? With my VPN that I setup, I just activate the VPN, which provides a secure connection to my LAN and the Trixbox pbx via the data connection on the Sprint wireless cellular service. 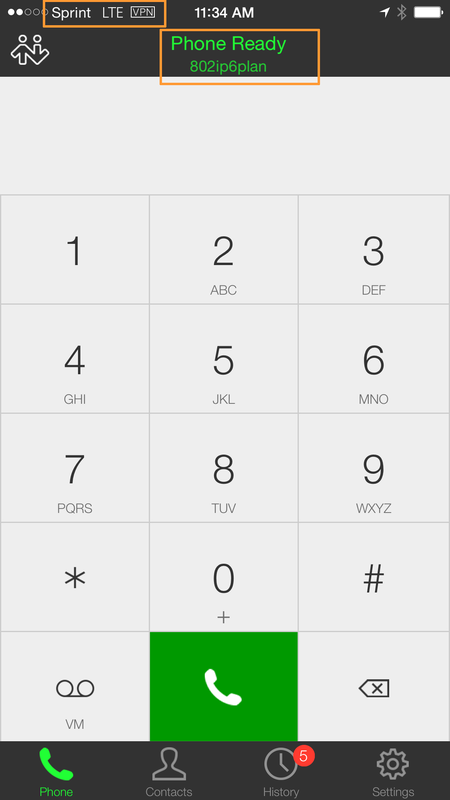 My Bria iPhone Edition app can now register with the pbx, and we’re back in business!